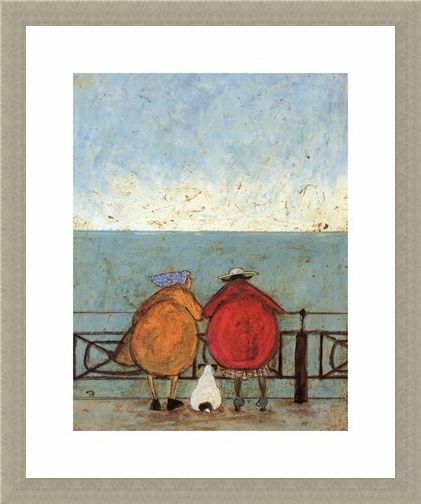 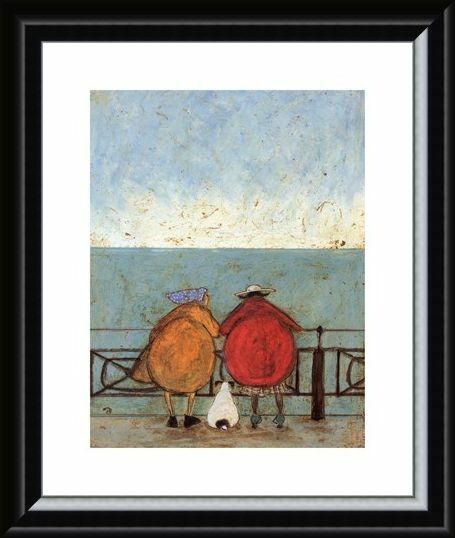 Art Print: The charming and very intriguing lives of Mr Mustard, his family and animal friends are beautifully illustrated by British artist, Sam Toft and this wonderful piece is no exception. 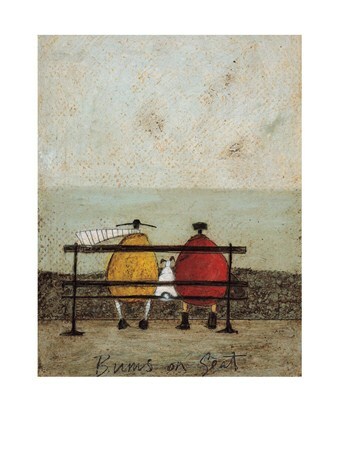 As Violet, Mr Mustard's wife, and her friend have a natter on the promenade the Mustard's plump pet dog, Doris, sits quietly between them listening in. 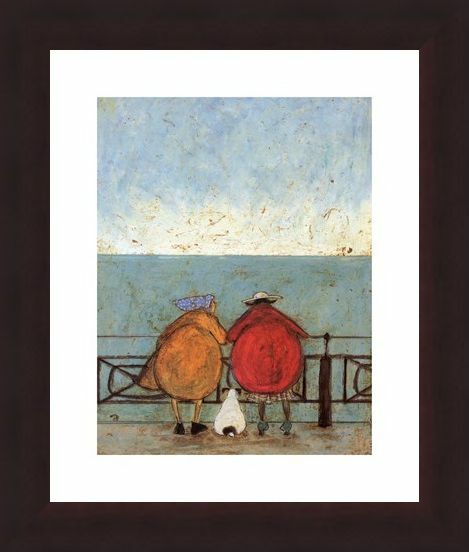 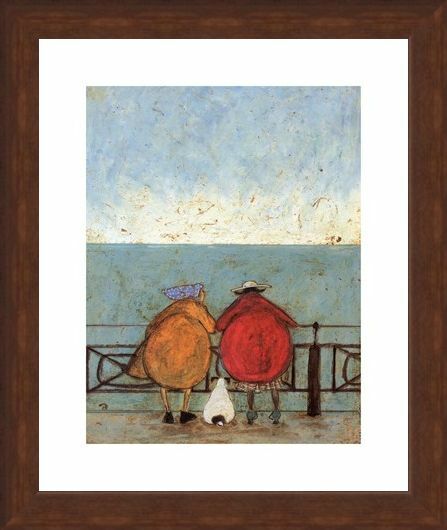 Composed in her typical, and instantly recognisable style, this Toft piece is something everyone can relate to and is sure to put a smile on your face. 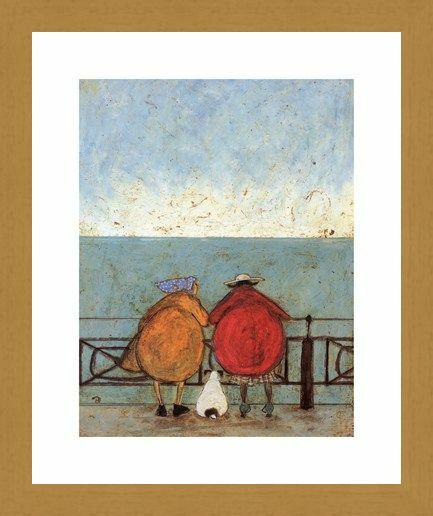 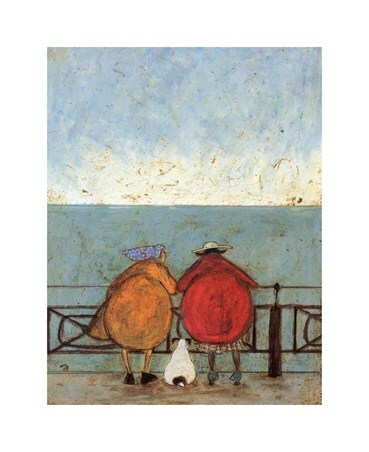 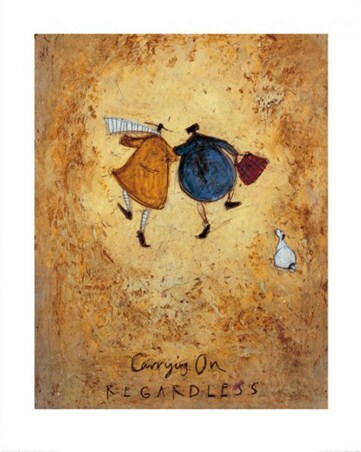 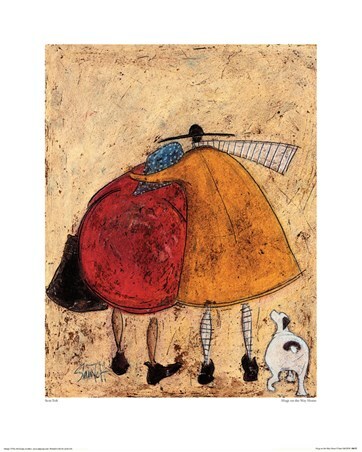 This is a wonderful piece of English contemporary art which will make a welcome addition to any home or, Sam Toft enthusiasts’ collection. 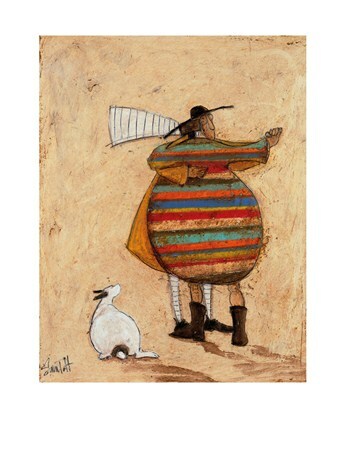 High quality, framed Doris Earwigging, Sam Toft print with a bespoke frame by our custom framing service.